QAR 1632 including 12 QAR shipping. 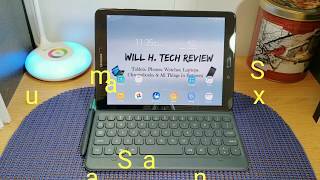 The Samsung Galaxy Tab S series is quite popular for offering nice tablets and the company is all set to release the latest addition to this popular series, the Samsung Galaxy Tab S3. We have high expectations from this series and from what we have learned so far, it’s going to borrow some features from its latest flagship smartphone, the Samsung Galaxy S7 as well. 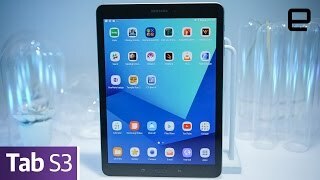 Before getting to more details, let’s take a look at the Samsung Galaxy Tab S3 Qatar price first. It’s expected to cost around 1400 to 1600 QAR judging from their pricing history. 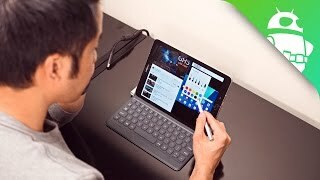 Keep reading if you want to know the Samsung Galaxy Tab S3 release date Qatar and whether it’s worth checking out or not. Just like the Samsung Galaxy Tab S2, there will be two different screen sizes to choose from for the upcoming Galaxy Tab S3, an 8-inch version and a 9.7-inch one. Both these tablets are expected to show 2048 x 1536 pixels resolution just like its predecessor. 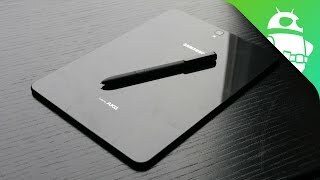 If you are familiar with the Galaxy Tab S2’s design, you won’t notice any major change. However, it’s still thin and attractive with a 4:3 aspect ratio and a home button. There is fingerprint sensor as well. 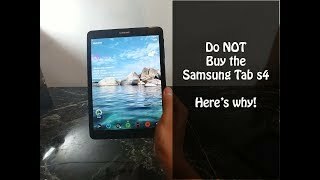 If you are not interested to wait for the Samsung Galaxy Tab S3 release date Qatar, there are great options like Lenovo Yoga Tab 3 Pro and Nvidia Shield Tablet K1 that you can check out. However, if you are ready to wait, the tablet is expected to be available in two different colors, white and black gold. While most of the rumors suggested the Qualcomm Snapdragon 820 earlier, it’s now expected to be the Qualcomm Snapdragon 652 processor. It’s less powerful compared to Snapdragon 820 but there are positive sides as well. It will be less power hungry but still will manage to support graphics on this display with QHD resolution. It will be paired with 3GB of RAM just like its earlier version. According to some rumors, the built-in storage is expected to be 32GB but we are expecting to see a 64GB version as well. If it’s a heavily specced device you want, there is the Microsoft Surface Pro 4 and iPad Pro you can try. 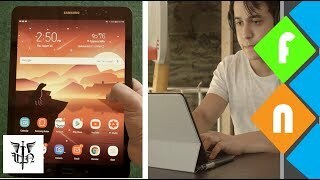 These are not in the same pricing range as the Samsung Galaxy Tab S3 Qatar price but they are definitely some devices worth checking out. There are no surprises here as well. 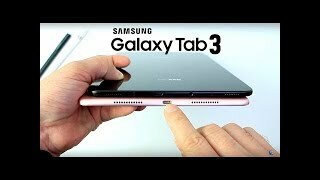 The Samsung Galaxy Tab S3 is packing an 8-megapixel camera on the back and a 2-megapixel one on the front. Powering up the tablet is a 4000mAh battery in the 8-inch version. We don’t know the battery size of the 9.7-inch version yet. Tablets are not really popular when it comes to their cameras so it’s better to not expect much from these cameras. There is also the Asus ZenPad 7.0 you can check out without waiting for the Samsung Galaxy Tab S3 release date Qatar. Price has decreased 20% from QAR 2283 on 2017-05-30 to QAR 1827 today.